EFX Series - Akwil Ltd.
EFX Series There are 2 products. 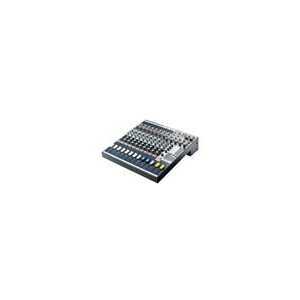 The Soundcraft EFX Series combines all the features of the popular Soundcraft EPM mixer with a built-in 24-bit, digital Lexicon effects processor, expanding the Soundcraft low-cost, multipurpose compact range. Do you have a question about one or more of our EFX Series products? Click below to contact us.